Calling all cowboy (and cowgirl) fanatics and lovers of all things Wild West themed. There’s a new pop-up in town! 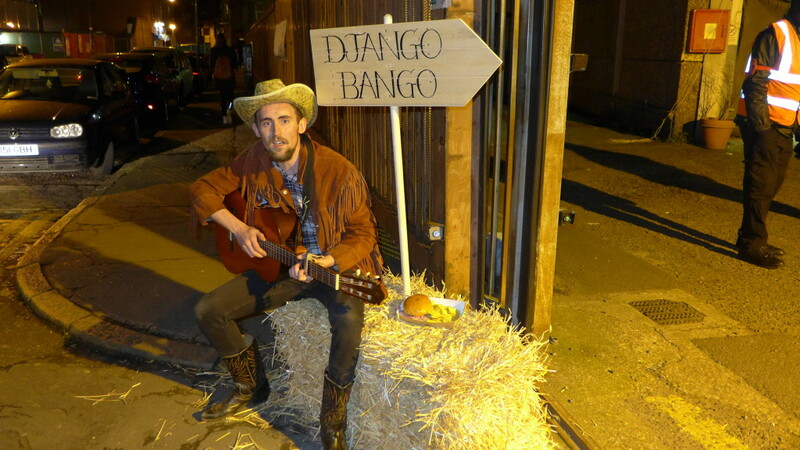 Django Bango is a Wild West themed pop-up located in London’s Whitechapel area. If you follow me on Instagram, you may remember that I posted at their launch night a few weeks ago. This weekend, they officially opened their doors to the general public and will stay open for the next few months. Django Bango isn’t your ordinary pop-up. They have really committed to the Wild West theme; it’s not just a stall in Whitechapel, it’s a small town. Complete with a saloon, a chapel and a jail! If that’s not enough to keep you entertained, there are plenty of games such as spitball and slingshot that can be played throughout the night. There is a great deal of food on offer across the various buildings in Django Bango town, including cronuts (croissant doughnuts) and good ole’ bowl of chilli. I opted to try the pulled pork bun which comes in a brioche bun with a side of nachos and coleslaw. 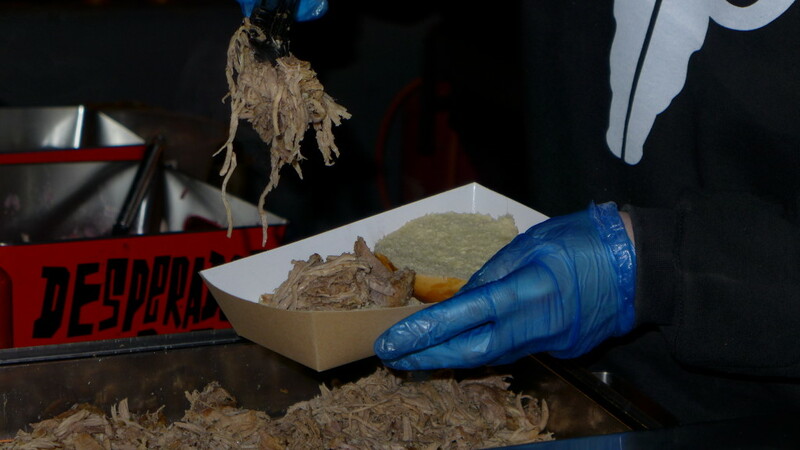 It’s extremely filling and the accompanying spicy BBQ sauce really brings the bun together. Drinks on offer include the usual selection of beers and wines. They also have a small cocktail list – and serve their cocktails tasty and strong. At £7 per cocktail, you feel like you are getting your money’s worth. 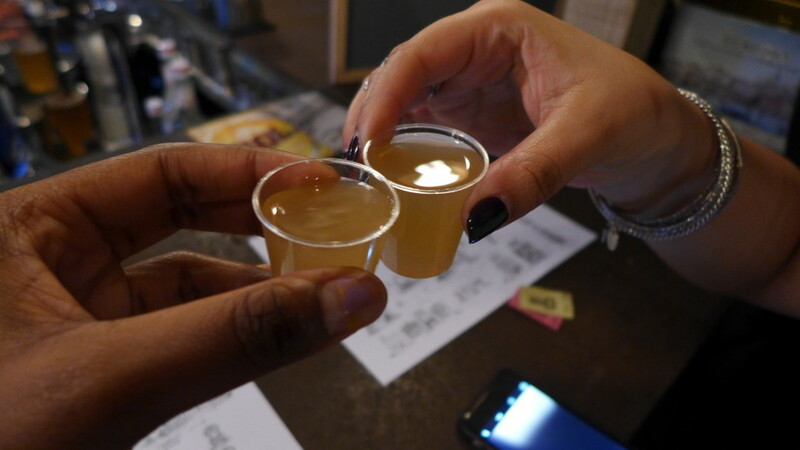 Quick tip: if you post a picture of yourself at Django Bango on social media and show it to the bar staff, you’ll get a free shot of cactus juice! I can’t write a post about Django Bango without discussing the excellent entertainment on the launch night. 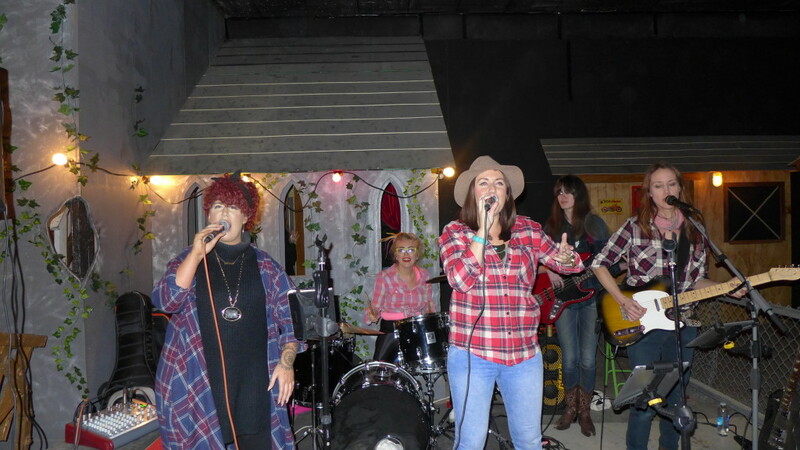 Aside from the amazing flash mob choir that performed a gospel rendition of Outkast’s “Heya!”, there was an all girl cover band called Pretty Rocks. The all girl band will definitely be there on opening night. Whether or not they become a permanent fixture of Django Bango, I would still recommend you make the trip to Whitechapel. There is plenty to keep you entertained, not least the staff dressed in full Old Western garb, speaking in thick country accents. It really all contributed to the fun atmosphere. If you do head down to Django Bango for a rip-roaring good time, drop me a comment down below and let me know what you thought. Django Bango is open every Friday and Saturday from 19th February 2016 to 2nd April 2016. You can buy tickets here.